As a parting gift from my last company, I got an E3 pass this year. While nothing from Tipping Goat is ready to show off, I was extremely excited to see what all the indie devs are doing on Xbox One and Playstation. But first, I had to check out the Oculus Rift booth. I had a chance to play with the 2nd dev kit at GDC 2014. I played EVE: Valkyrie and was blown away by the Oculus. The feeling of immersion was fantastic. Unfortunately for me, I got stuck playing this game again at E3, and plopped in with a minute left in the game. Oh wellsies. 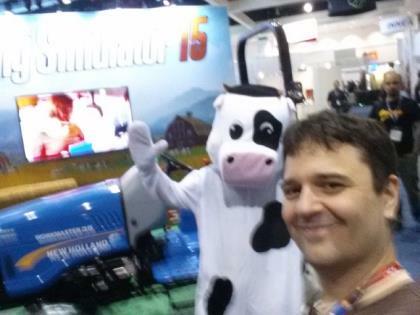 My spirits were raised when a booth-cow from Farm Simulator let me take a blurry selfy with her. 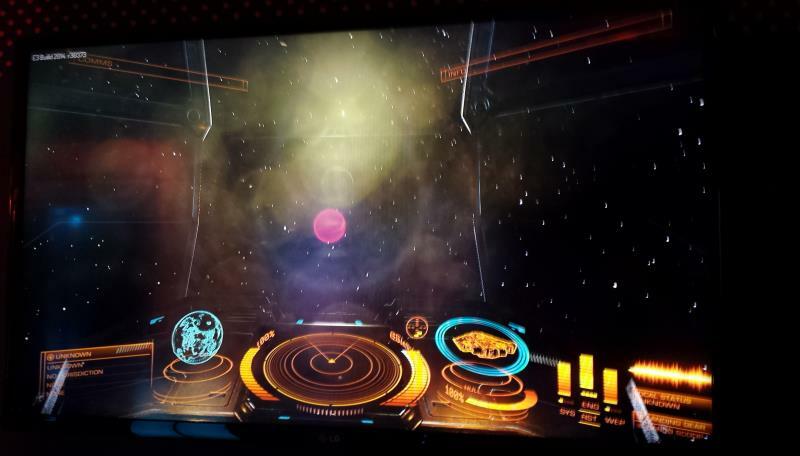 I also had to check ou t Frontier Developments’ Elite: Dangerous. Hidden away in an upstairs meeting room, I was surprised to see few people checking out this game. I myself was a huge fan of Frontier on the Amiga, and was more than happy to take advantage of the situation and get some play time with this awesome space simulation. The level of detail blew me away first of all. I got to pilot a ship out of a star base and you can see so many little details as you go, like little cars driving back and forth and buildings jutting up from all sides. The feeling of piloting my ship out of the station doors was nothing short of elation. I felt like I was driving the Enterprise out of Federation Spacedock. The control set up was perfect, and I’m going to have to put a similar set up on my wish list. But the most amazing thing about this game is the scale. In Frontier, I remember being blown away by the amount of content they squeezed onto a 3.5″ floppy disk. Now there are 400 billion stas to explore. FOUR. HUNDRED. BILLION. If you don’t want to play this game, I think something is broken inside your brain and science needs to find a way to fix it. 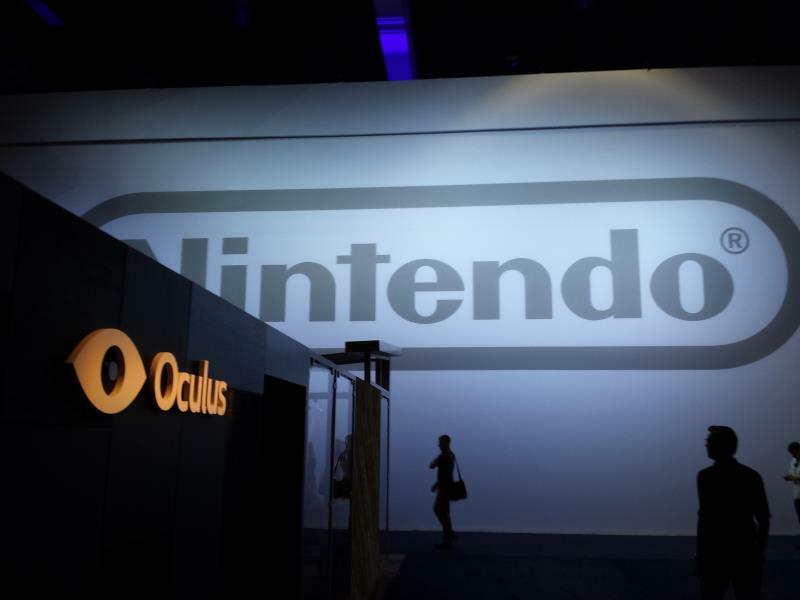 More to come in part 2 as I check out Nintendo!